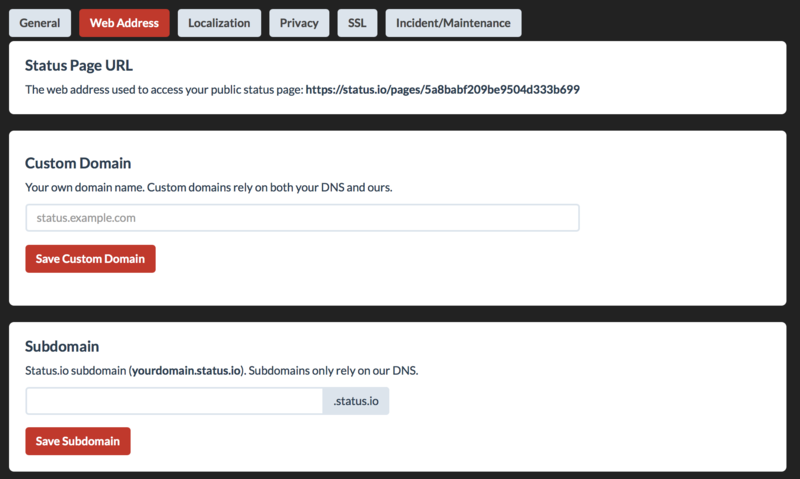 Users may visit your status page via your domain or ours, or both. Configure the web address from the Settings/Web Address tab in the Dashboard. Relies on both your DNS and ours. Requires a unique CNAME record to be added to your DNS zone. SSL is optional for custom domains. Only relies on our DNS via Route53.